I used to coach forensics (speech and debate) for one of the top collegiate programs in the nation. It was a wonderful job full of constant brainstorming and creativity, politics and passion, and some of the most fantastic people I’ve ever had the pleasure of working alongside. But the thing I miss most about my old profession is live entertainment. The possibility for performance at my disposal on a daily basis was an amazing job perk. Lucky for me these performances were by some of the most talented college students in the world! The beautiful thing about forensics performance, specifically interpretation of literature if you’re familiar, in my opinion, is it’s simplicity. These sort of no-costumes, no-lighting, no-sets, incredibly nuanced and detail-oriented performances have completely spoiled me over the years. Sure, I love a Broadway show with a budget of millions as much as the next snob but I also crave a performance where the focus is the text and character. Where I can totally suspend disbelief and my only guide in that suspension is the performer herself. Now that I’ve been out of the world of competitive forensics for a few years I fully realize how much I took these performances for granted. I try my best to support the performing arts at the local level as much as possible. I want to use my dollars to keep these programs doin’ what they’re doin’ but also for selfish reasons–I CRAVE live performance. Needless to say when my sister asked if I wanted to check out a play put together by a few of her pals I was totally game. The show was produced by Actor’s Guild of Lexington but wasn’t a part of their regular season lineup and only ran for a weekend. Tickets were only ten bucks. If you’re on a budget and love supporting local art, get on some e-mail mailing lists so you don’t miss out on opportunities like these. Many times theaters will run these awesome little shows on the cheaps but ya gotta be in the know! These shows typically have lower production values but will feature many of the same actors you’re gonna see in the regular season and are often directed by younger, less-seasoned directors–so they’re super eager and experimental. Hmmm…smells like forensics to me! 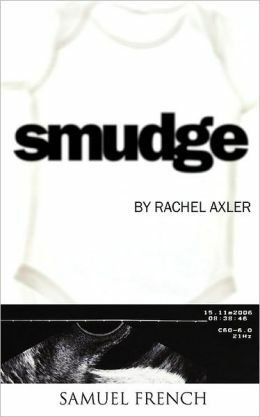 “Smudge” is the story of a young American couple giving birth to their first child and how they cope with the one in millions chance undetected abnormality she is born with. Cindy Head and Marshall Manley, as the young couple, played off each other extremely well and their scenes alone (and with the special carriage the baby had to stay in to survive) were equal parts comical and horrifying–dark comedy at it’s best. 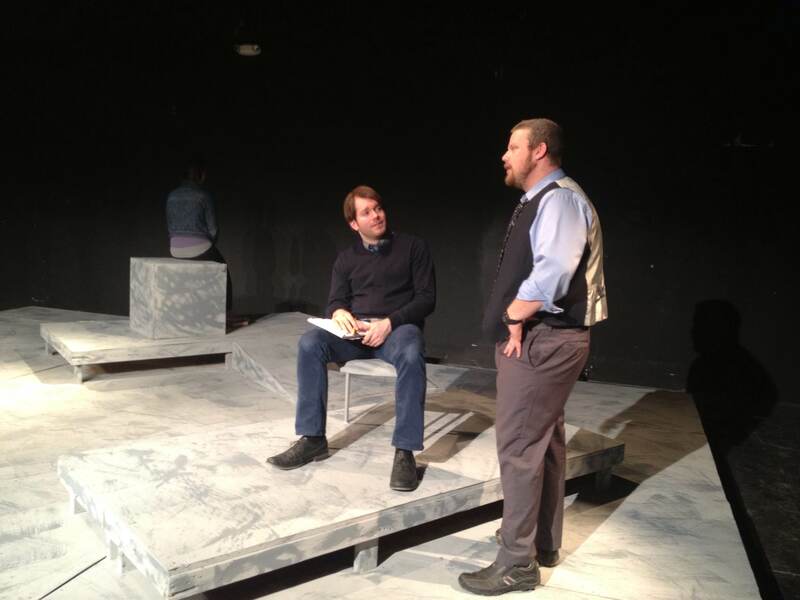 Eric Seale, as the uncle, was fantastic comedic relief. Most scenes had the sort of humour you weren’t sure you should laugh at because they featured squirmy subject matter. However, Seale’s scenes you knew you could. This dichotomy, in my opinion, is what made the performance work. The show culminated in a lovely scene, where the father, who worked for the census, presents a PowerPoint that tailspins into how his child fits into statistics. These numbers, coupled with the array of emotions displayed throughout the show, merge in pitch-perfect form and create a sense of finality, a sense that the characters can now, and we along with them, acquiesce to their given situation. All in all, I thought the show’s simple set, props and costumes were a boon, as they didn’t add or detract from the honest performance the actors were giving. Just the sort of performance this former forensics coach can get behind. While the run was short and you’ve already missed out ; ), do keep your ear to the ground for future shows–the simple ones can sometimes surprise you! 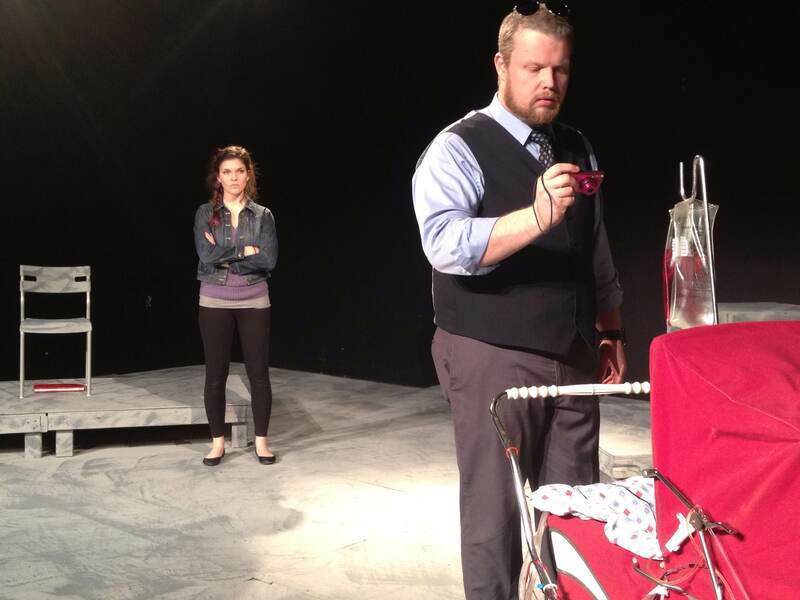 AND if you’re looking for some live entertainment this weekend, Actors Guild of Lexington’s regular season show “Other Hands” opens TONIGHT and runs through Sunday. 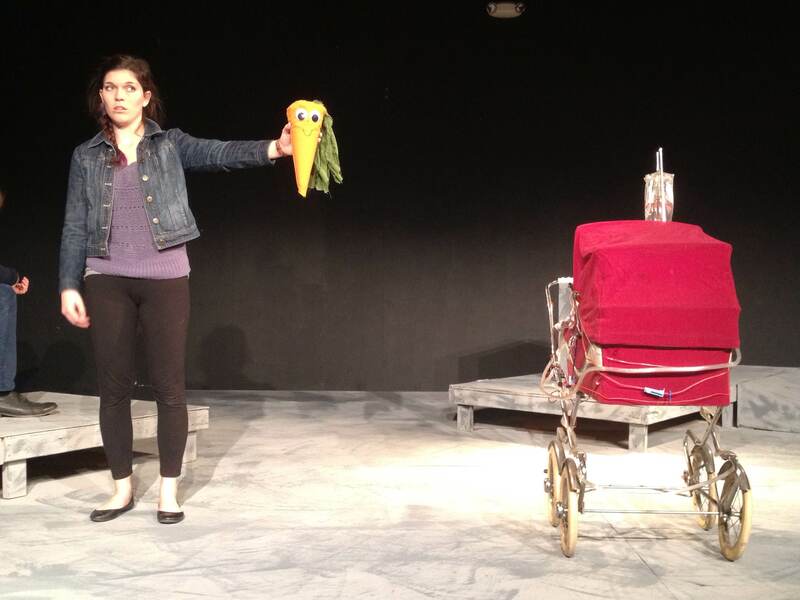 Wed-Sat shows are at 8pm and Sun is at 2pm. The show will be at Actor’s Guild of Lexington Theater, 4383 Old Harrodsburg Road #155 and you can purchase tickets here. Break a leg cast and crew!